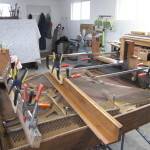 Our historic piano is currently in the midst of refurbishment at the workshop of Peter Kirkpatrick. This photo shows some of the veneer being reglued. 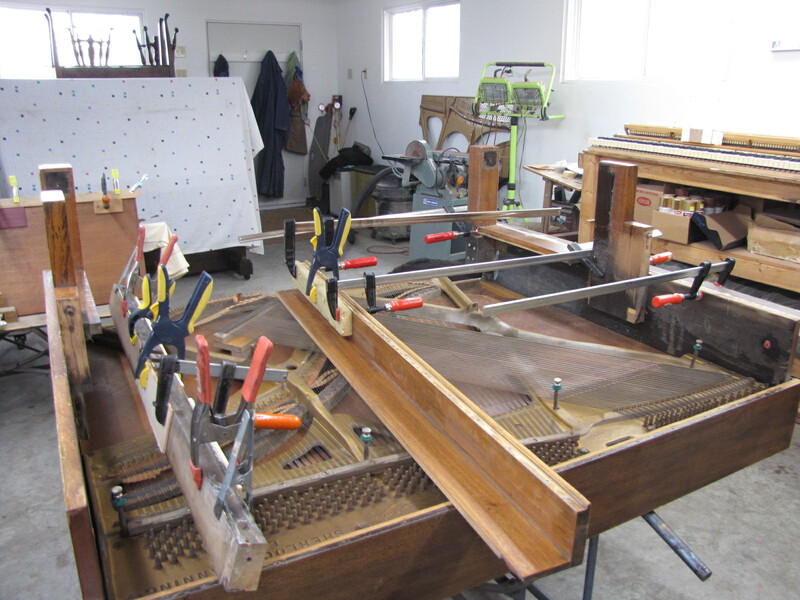 Hopefully the piano will be complete and back with us by the end of the summer. We continue to raise funds to pay for the transformation. 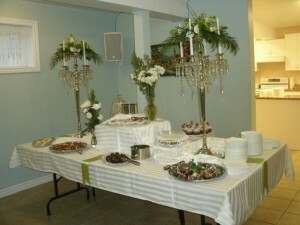 An elegant table was set. 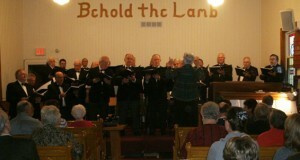 The Ottawa-Carleton Men’s Choir (with our friend Rev. 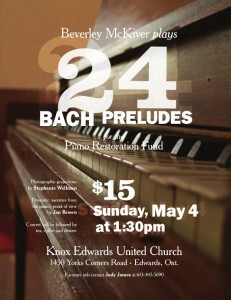 Ted) will be performing at Knox on Sun., April 15 at 7 pm. 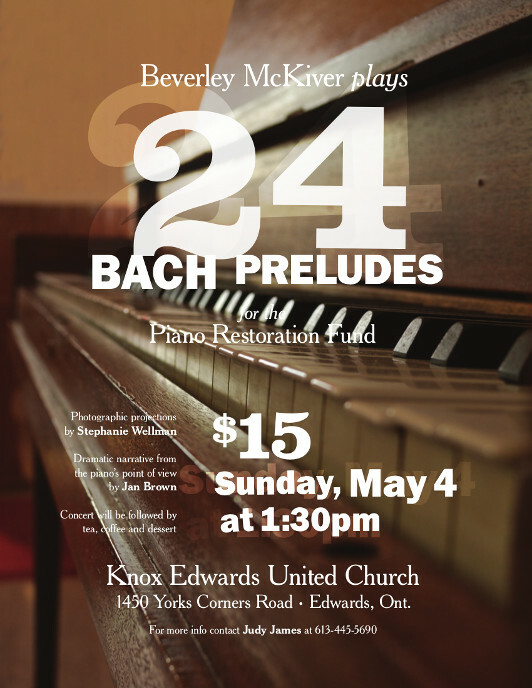 Admission is $10, with refreshments to follow the performance. 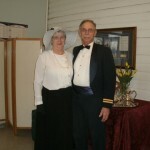 April 15 marks the 100th anniversary of the sinking of the Titanic, so the evening will have a Titanic theme. Get ready to boogie. 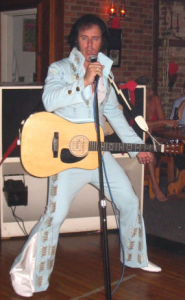 Knox United welcomes Elvis on Sun., July 17 at 7:30 pm. 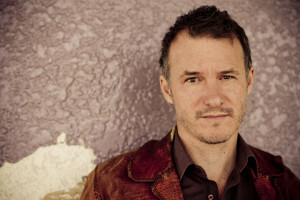 Tickets for the performance, featuring Dan Burgess, are $20 and include dessert. Contact Judy or Jan to reserve. Proceeds to the kitchen renovation fund. A beauty named Voyageur blew through town on the weekend, bringing smiles to faces with her stunning curves and clear rich voice. Voyageur is a guitar — a very special guitar. It was created using 63 pieces from all across Canada — representing every province and territory. 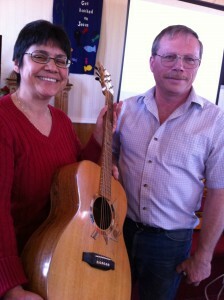 More than 50 people got a chance to hear the guitar in action and at Knox United Church in Edwards on Sun., April 3. Conceived by writer and broadcaster Jowi Taylor of Toronto in 1996, and inspired by the Quebec Referendum of the same year, the Six String Nation project finally came to fruition in 2006 when the guitar made its debut at the Canada Day celebrations on Parliament Hill. Since then, Taylor has traveled the country to share the guitar and its stories. It has been played by thousands of musicians and held by countless other Canadians. “Being a nation is about the stories that we tell others, and ourselves, about who we are,” said Taylor. The pieces in the guitar tell the stories of Canadians from Rocket Richard of the Montreal Canadiens (gold from his Stanley Cup ring) to Canadian champion oyster shucker Joe Labobe from the Lennox Island First Nation, PEI (wood from handle of his knife) to previous PM Pierre Elliott Trudeau (wood from one of his canoe paddles). 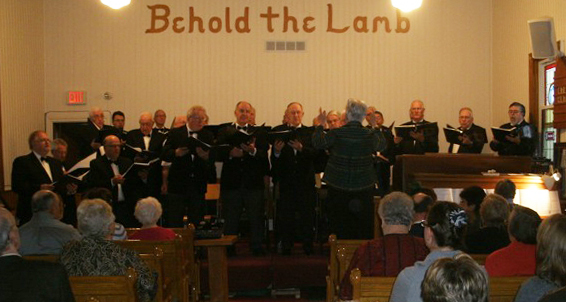 The multimedia presentation shared a variety of these stories, as well as the life of the project from genesis to its current state. 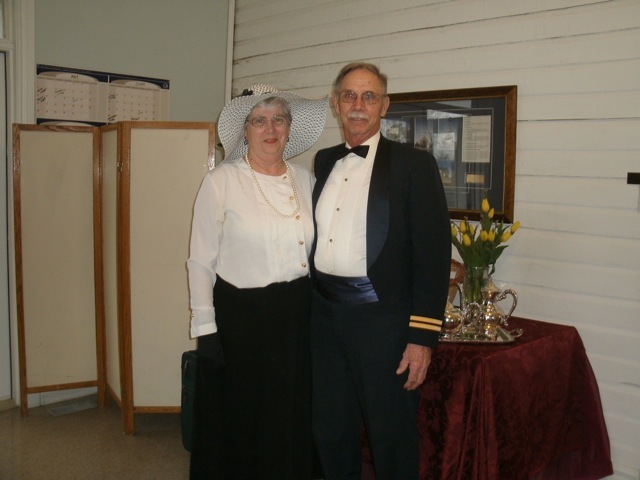 Beverly McKiver was the organizer behind the event. 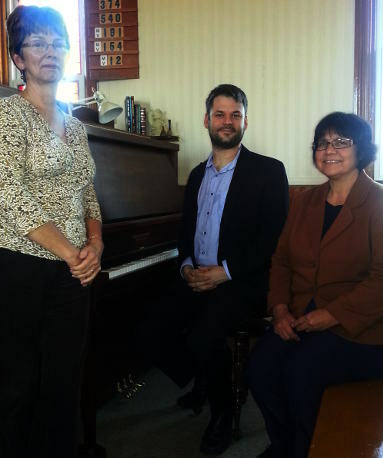 She bid on the presentation in a silent auction at the Ontario Council of Folk Festivals Conference in Ottawa last fall and won. Taylor’s presentation was followed by a variety of guitar players taking Voyageur for a spin. The event was capped off with a Canadianna dinner of venison stew, maple baked beans, wild rice, and other Canadian goodies with proceeds going to the Six String Nation project. For more information on Six String Nation, visit sixstringnation.com.